There are thousands upon thousands of blogs out there, all with their writers struggling to maintain their individuality and push to the front of the metaphorical line. With the blogging world becoming more and more fast-paced and all about numbers, it’s easy to lose who you really are along the way, and why you originally started blogging. 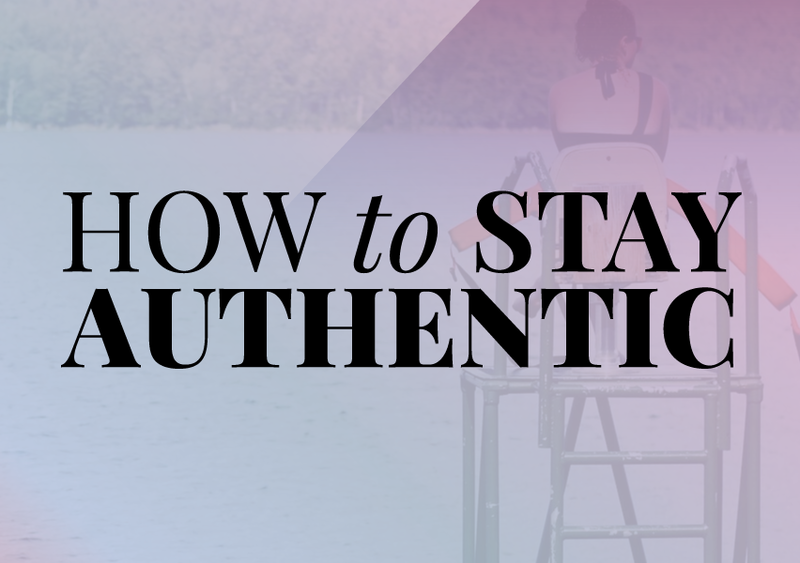 I’ve written out 3 ways to stay authentic with some actionable tips to help you stay acquainted with your initial vision – all without sacrificing the views. Create branding that speaks volumes about YOU. Branding and the design of your blog is such a controversial thing. I think a lot of people tend to brand their blog as this perfect, pink and gold polka-dotted masterpiece when in reality, they love lots of bold colors and black accents, and so they struggle with loving their blog, or vice versa. I know that for a long time, I tried to go pastel with my colors. It just didn’t work out for me, and I realized I was trying to squeeze myself into a box that I just couldn’t fit into. I wasn’t a pastel kinda gal – I was a bold kinda gal. So I re-branded, and when I did, I immediately felt more relaxed about my space. And when you feel more relaxed, you tend to write like you speak. See how that works? It can be very easy to accept any sort of sponsorship that comes your way, but I have to caution you against that. As a faith blogger with lots of posts about blogging and how to be a better blogger, accepting a sponsored post from a nose ring company might not suit my own personal brand. Your branding should extend to your content, and if your branding is who YOU are, then accepting a sponsorship that goes against that is to betray your own brand. You could also lose readers over the sudden post that really doesn’t fit. Stay true to who you are, and sponsors will come to you because of your authenticity. Being authentic is all about knowing who you are and expressing who you are through your blog. People will see that you are passionate about your topics, categories, and posts because you’re literally writing about things that make you, YOU. 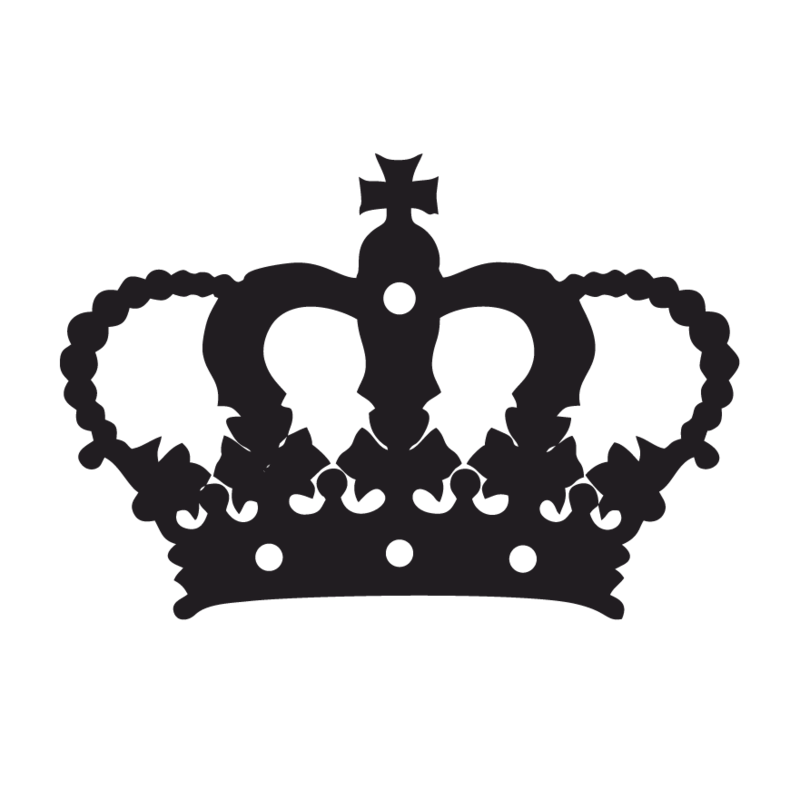 I recommend blogging about things that you love in your daily routine. I love coffee, so I recently started participating in a link up from Heartnatured. I enjoy makeup, so I pin a LOT of makeup looks even though I don’t blog about it much. My favorite animals are cats, so sometimes I post funny cat photos on my Facebook page. That’s just how I roll. I like to think that people follow me because I’m not all about what looks perfect and fits exactly within the mold of how bloggers SHOULD behave. I think there is a lot of expectation created out of thin air that makes us feel we have to look a certain way on our blogs and act a certain way, and pose for photos just right and speak just so. Honestly? Life is messy. Figure out what you like, and talk about it! Get it out there. If you don’t enjoy what you’re saying, there will be a lack of passion. Late last year, I remember that I started to avoid my computer because my blog was stressing me out. It got so bad that I would sometimes get hives when I felt I had to get a post out the next day that I felt so very blasé about. I knew that by publishing content that I wasn’t passionate about, I was short-changing myself, but I didn’t know how to stop. After all, aren’t we pushed to have schedules and routines and get certain posts out on certain days or you’ll never gain a reader base? Let me just stop right here and tell you a little secret. not because they love your schedule. Reevaluate. Rediscover what makes you tick. That’s true authenticity there. 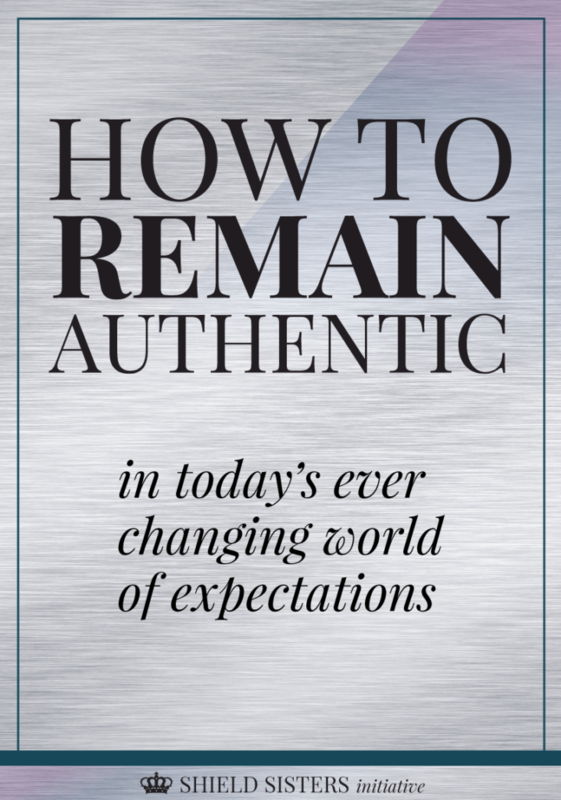 WHAT DO YOU THINK ARE SOME GOOD WAYS TO STAY AUTHENTIC? Awesome post…you so are right. There’s a lot of emphasis on setting up social media calendars, scheduling, etc. And that can work for some people but it can also become formulaic and dull. We need to see more bold colors and “flavors” in the blogging world! Yes! It is so important to hold onto what makes you unique, even through the formulas and systems. Exactly what Raewyn said! Whatever makes you YOU should be what sets you apart, not what makes you want to change, you know? Great post, completely agree with your points, esp about not selling out. Authenticity is a core focus for us. Having a authentic voice and bringing that personality through in the way we communicate (blogs, vlogs, audios…) to our audience is extremely important, especially when operating in the online world where physical location and face to face is not possible. Yes! Authenticity and being real is SO important to us!